Having superbly furnished exterior is truly a cause worthy of any effort made. However, during the cold fall and winter days, most of these exquisite items may suffer greatly. Even with the best maintenance and storage, it will never be quite the same. Luckily, restoring it back to its former glory, back to life is a task that is not as difficult to accomplish. 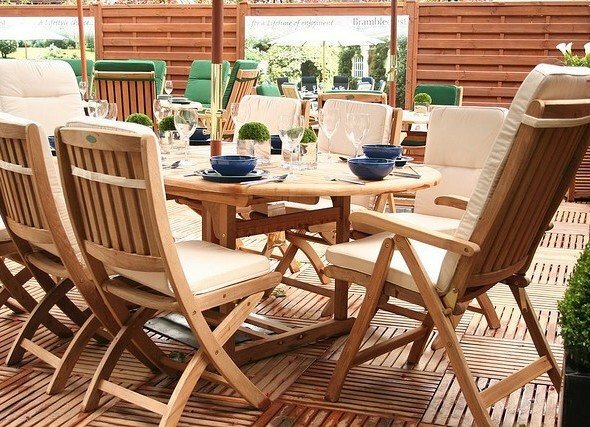 Here are few tips and trips on how to revamp your outdoor furniture after a long and harsh winter. First thing you had to store were most probably your outdoor cushions so it would be only right if you were to bring them out first. As we already mentioned, even the best protection during winter is bound to leave its toll and this is often not a pleasant sight. Every so often a moldy stain or two will appear but this is seldom reason for desperation. Simply take out the bleach brushes and sprays and start working vigilantly on their recovery. With a lot of determination, and even more scrubbing you will be able to bring your cushions back to life. Next thing on this list should be your furniture and here your job is even easier than with the cushions. Curious thing about furniture maintenance (during all seasons) is that its material is a determining factor of its endurance. Although some believe that metal is the most obvious choice fall and winter are moist season and this can more often than not facilitate the process of oxidation (rusting). 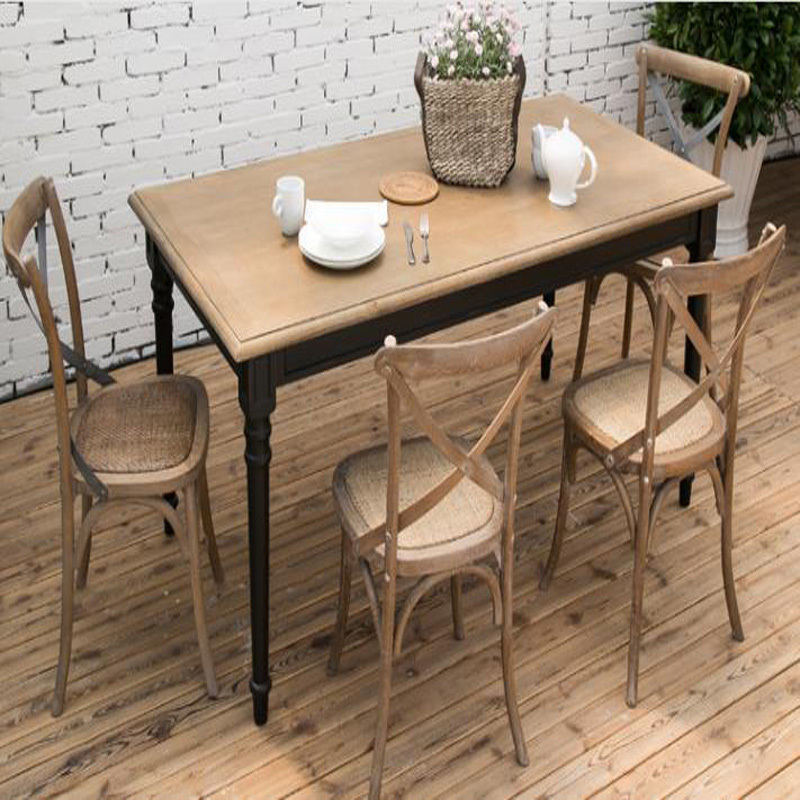 Your safer choice would be to get those quality teak outdoor tables and chairs and relieve yourself of all the worry in the world. Additionally, every few years or so you can repaint them and they will in turn be as good as new. Even though wood is the most common choice of furniture (for all the aforementioned reasons), metal has its advantages as well. Unfortunately, winter is often not very kind to it but this is not something that a simple soapy solution cannot fix. By carefully working on its restoration, you will in no time be able to remove all those white marks from your beloved furniture. Where there is a will there is always a way, but it is most often better to prevent a problem than to try and solve it later. Therefore if you have no room for its storage try to at least cover your metal furniture during the winter with some sort of protective cloth. Finally, there is a way to avoid all of these problems, however most people do not find this solution to be aesthetically satisfying. Resorting to plastic during long summer hours is a cheap and upkeep efficient solution. Also, although your outdoors won’t look as good in plastic as they would in metal or wood, plastic is quite climate versatile. Furthermore, most plastic chair designs can stack, which makes their storing yet again quite convenient. All in all, your options are quite numerous and it all depends solely on your current disposition. Bringing your outdoor furniture back to life is not that easy task but you are really left with no choice. If what you aim for is to make your garden or backyard both presentable and practical it is an inevitable step. However, if you are going to do it, you owe it to yourself to do it the right way and we hope that here, at least some of these tips will be of assistance. How can you make your fat burning supplements more efficient?